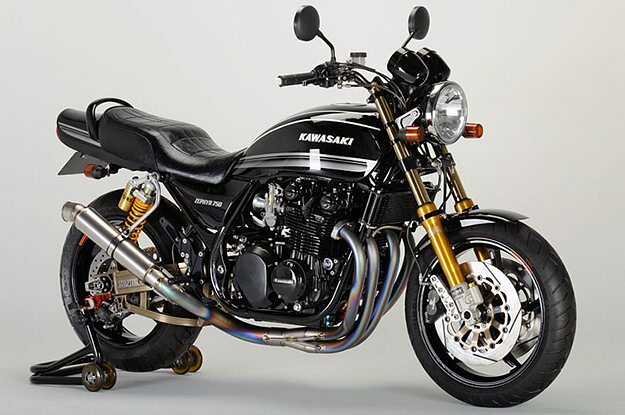 Some 15 years ago, Kawasaki’s Zephyr range kickstarted the trend for retro naked motorcycles in Europe. 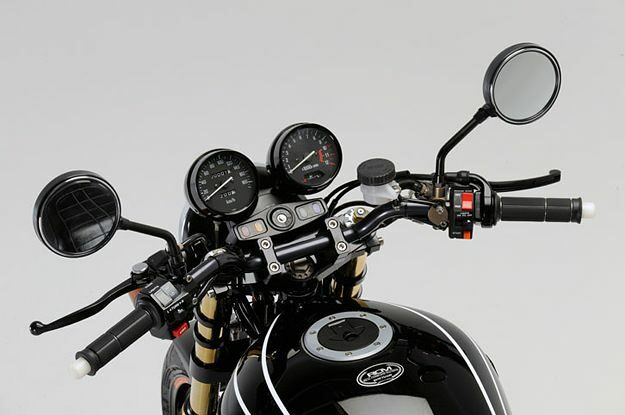 The styling was loosely based on the original Z1, and although the Zephyrs were criticized for lacking the fearsome character of the Z1, they sold well. 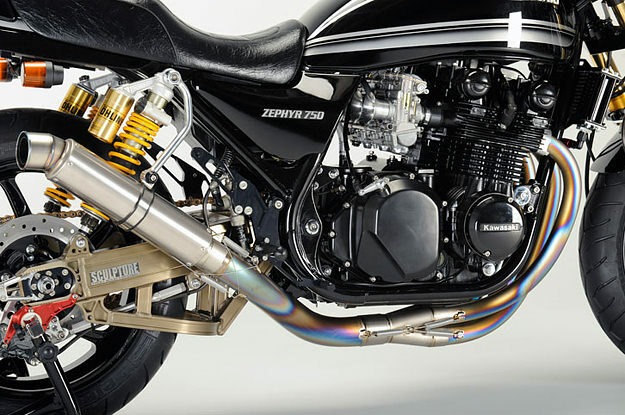 This Zephyr 750, however, is much closer to the spirit of the original super bike. It’s a resto-mod from Sanctuary in Japan, and as usual, the work is immaculate. 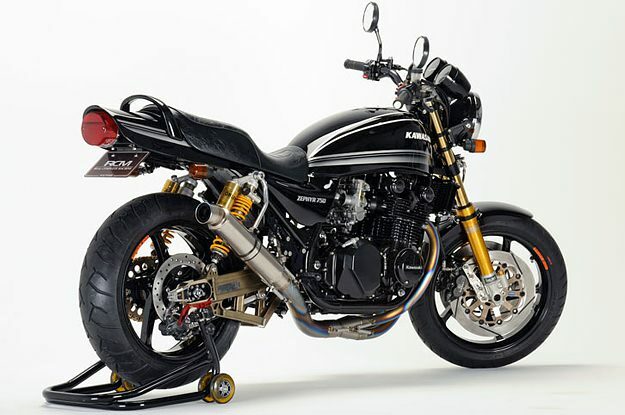 Sanctuary’s mods have also brought the Zephyr bang up-to-date in the handling stakes; the frame is reinforced and the suspension is now Öhlins all round, with 43 mm forks at the front and high-spec reservoir shocks at the back. 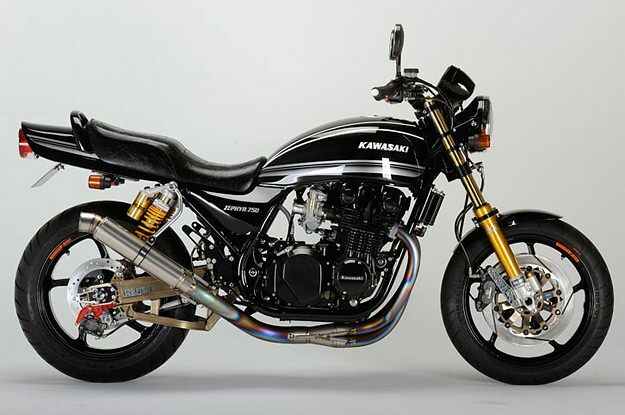 The geometry is tweaked with a custom steering head and swingarm. Wheels are delectable OZ Racing Piega forged aluminum jobs, shod with Pirelli Diablo tires—120/70-17 at the front and 180/55-17 at the back. 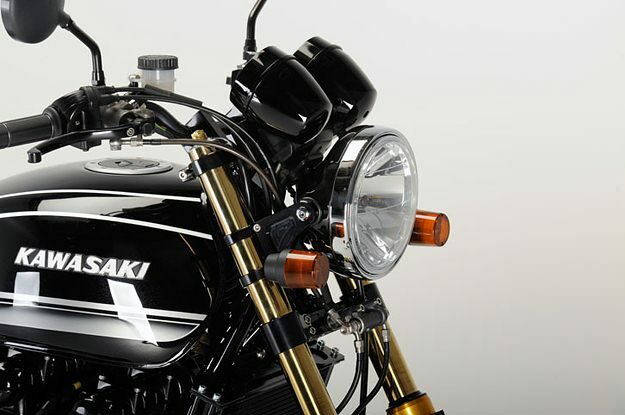 The completely new brake system is a mix of Brembo and Nissin components, acting on Sunstar rotors. Nitro Racing supplies assorted body parts and the exhaust system, and the blueprinted motor is now fed by a Mikuni TMR32 carb kit. If only you could pick up one of these for the same price as the 1990s original.